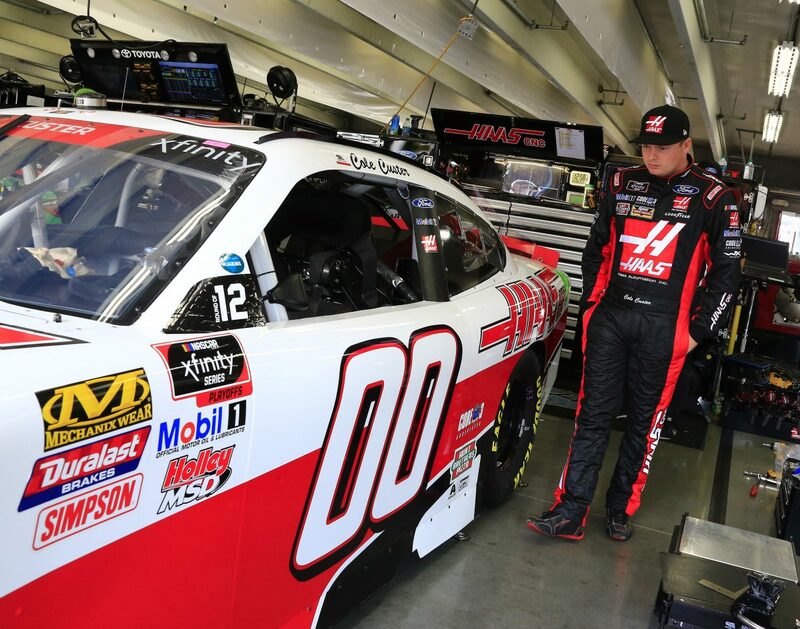 The Bar Harbor 200 will be Cole Custer’s fourth NASCAR Xfinity Series race at Dover (Del.) International Speedway and ninth overall start at the concrete mile oval. The Bar Harbor 200 will be the third and final race of the first round of the 2018 NASCAR Xfinity Series playoffs. The playoffs began with 12 eligible drivers and are divided into three rounds with the first two rounds consisting of three races apiece, followed by a final, single-race round at the Homestead-Miami Speedway season finale. Four drivers are eliminated after each of the first two rounds to ultimately establish four finalists at Homestead. Drivers automatically qualify for the next round with a win in the current round with the remaining spots determined by the point standings. At Homestead, the top-finishing driver among the four finalists wins the championship. Custer is fourth in the 2018 Xfinity Series playoffs with 2,083 points, 49 behind leader Christopher Bell and 14 ahead of the cutoff to advance to the second round. Custer’s second-place finishes May 26 at Charlotte (N.C.) Motor Speedway and Sept. 1 at Darlington (S.C.) Raceway are his best in 28 races this season. Custer’s average starting position of 6.1 and five pole awards in the 2018 Xfinity Series season lead all series regulars. He has earned 20 top-five starts and 25 top-10 starts this season. Custer has earned 11 top-five finishes, 22 top-10s, five poles and has led 240 laps this season. Last weekend at Charlotte in the first-ever road-course-styled playoff race, Custer finished second in the first two stages before earning his fifth consecutive road-course top-10. No Monster Energy NASCAR Cup Series drivers are eligible to race in the Bar Harbor 200 Xfinity Series race at Dover. In Custer’s eight overall starts at Dover, three are in the NASCAR Camping World Truck Series, two are in the NASCAR K&N Pro Series and three are in the Xfinity Series. Custer’s best overall finish at Dover is fourth, earned in the Xfinity Series race June 3, 2017. In the 2015 Truck Series race at Dover, Custer led 67 laps and ran in and around the top-five until lap 138, when a fueling issue pushed him off the lead lap in 13th place, where he would ultimately finish the race. In 66 Xfinity Series starts, 42 Camping World Truck Series starts and 29 K&N Pro Series starts since 2015, Custer has five wins, eight poles, 16 top-five finishes, 32 top-10s and 1,077 laps led at tracks that are a mile in length or shorter. Your short-track program is improving, as we saw at Richmond and Bristol. Is Dover the one to win? Describe a qualifying lap at Dover. How nerve-racking was the Charlotte roval, and are you happy you decided to play it safe and earn the extra points? Do you feel like you have enough points to bring you into the next round? There’s no arguing that you have unloaded fast Haas Automation Fords every weekend – especially at short tracks. To what do you attribute the success at short tracks this year?